As the sun begins to set on the Burl's Creek event grounds on Thursday, July 27th, festival attendees and campsites have begun to take over the make-shift campground for the weekend as part of the WayHome Music + Arts Festival experience. 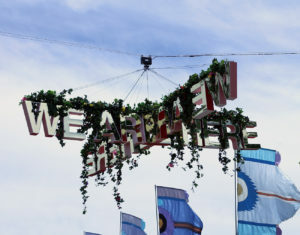 What has been deemed "Canada's Bonnaroo", WayHome is a three-day music festival which occurs every summer in Ore-Medonte, Ontario (an hour outside of Toronto). The festival prides itself on its diverse lineup, as well as its arts-oriented decoration and installations and this year was no exception. 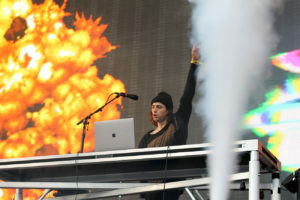 With Flume, Imagine Dragons & Frank Ocean as headliners, attendees were in for a treat this year in terms of musical acts, and with Perrier, TOPSHOP, MEC and Coors Light as festival sponsors, you knew on-site activations would be poppin'. We took in all the sights and sounds at WayHome this year and experienced a Canadian festival unlike any other. From seeing Ryan Hemsworth inside the Perrier Greenhouse to a hot air balloon ride courtesy of Coors Light and from eating hot dogs covered in cheese sauce and fried jalapenos (thanks Kung Fu Dawg) and lounging in a hammock with free shaved-ice in hand from MEC, we truly found our "way home" that weekend. Below are our musical act highlights over the entire weekend. Vancouver-based nu-disco and funk producer Pat Lok kicked off day one of WayHome on a dancier note with the debut of his new live performance set up. 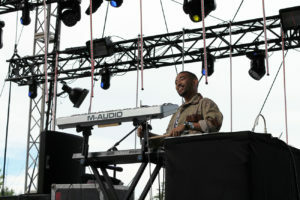 He seamlessly played two keyboards and a drum kit while songs from his debut album Hold On Let Go accompanied. Pat gave the energetic early risers at the WayAway stage the perfect start to their busy weekend. Keep an eye out with our sit down interview with Pat Look within the next few days. It's the live set that just gets better – Flume closed out the main stage of WayHome in a huge way. Adding to the preexisting Skin live set, the electronic producer featured tracks from Skin Companion EP I & II, as well as "Hyperreal" and his co-produced track "Yeah Right" for Vince Staples. 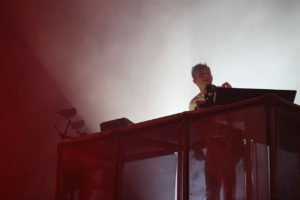 Flume included additional visuals to his already stimulating set up. A performance 10 years in the making – well, for me anyways. I have been a fan of Justice since my high school days and FINALLY being able to see them was the cherry on top of everything. 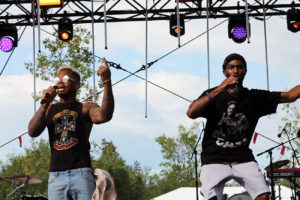 The French duo closed out the WayBright stage on the first night of the festival and could not be topped the rest of the weekend. 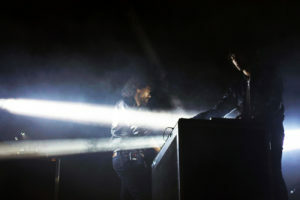 Performing with their new live set up, the set was a mash up of Woman-era Justice with the Cross & Audio Visual Disco eras and featured intense lighting that almost made my brain explode. Well worth the wait. If you're still sleeping on THEY. – what the heck are you doing? This was my second time seeing the Los Angeles boys, but first time as an avid listener. The duo performed the set I had seen a couple months prior, but brought a whole new energy to WayHome. Opening with their ZHU collaboration and smash hit "Working For It", Dante and Drew flew through their tracks without skipping a beat or slowing down and, of course, had a ton of fun with it. 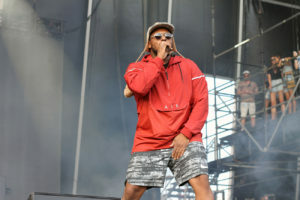 To the confusion of festival go-ers and the man himself, Schoolboy Q was the only rap artist to play the festival's main stage, but it didn't stop him from having one of the best performances of the weekend. The crowds I experienced at WayHome were "distracted" throughout 80% of the sets I saw, however this behaviour hit pause as soon as he hit the stage. Schoolboy had the crowd jumping and screaming with performances of "Collard Greens" and "Man of the Year", as well as performing Kendrick Lamar's "HUMBLE". 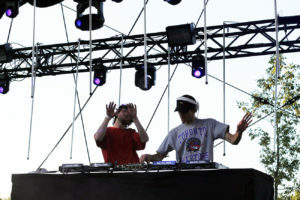 Probably one of the most talented young electronic acts out nowadays – Louis the Child brought some serious vibes to the WayAway stage late-afternoon for day two of WayHome. The boys danced and climbed (Robbie literally climbed the stage's scaffolding) throughout their short one hour set, which featured favourites "Fire", "Love is Alive", "Weekend" and "It's Strange". The large crowd of young attendees ate every second of it – and so did I. 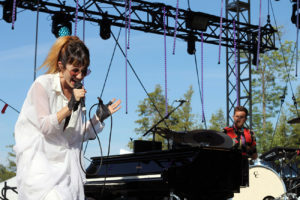 Despite having technical difficulties, Hundred Waters gave an eerie-yet-ethereal performance in the late afternoon on the final day of WayHome. The group did half of their set acoustically and lead vocalist Nicole Miglis performed a stunning rendition of "Show Me Love", which featured only her on the piano and vocals. Attendees were truly treated by being able to experience a half-acoustic, half-electronic performance from these musical pros. Porter's performance was just what the last day needed. Energy was definitely lacking in the final hours of the festival and with multiple performances still left in the evening, attendees needed a boost. Porter has been touring with the Worlds Live set up for just over three years now and has tweaked it multiple times along the way. The WayHome crowd was treated to the most up-to-date version, featuring Madeon-collab "Shelter" and a slew of new edits, which was stuffed into a one hour set packed with insane visuals. This was considered my official end to the festival (sorry Frank). I also witnessed the goddess that is Solange, who had the second best performance of the weekend, as the sun set on day two. Sitting in the grass with her soulful voice washing over me as I gazed in awe of her very art-inspired performance was an unexpected yet welcomed surprise. Frank Ocean officially closed out WayHome 2017 with a beautiful and innovative yet kind of boring performance. Frank seemed a little distracted during his set as he changed his mind on songs multiple times and even forgot the lyrics to "Forrest Gump" (but redeemed himself quickly thanks to audience participation), but nonetheless, it was a cool performance to witness.